St Louis Towing Service - Top Rated Towing Company & 24 Hour Roadside Assistance in St. Louis, MO. Welcome to St. Louis Towing Services Provided By Lanos Towing! Thank you for visiting our site! We provide St Louis towing and roadside assistance services. This is a private towing company and is NOT associated with the city of St. Louis Towing Division. 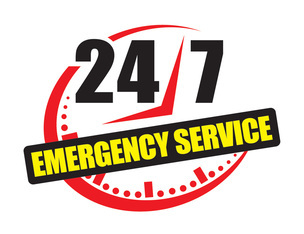 We have 24/7 availability, and our service professionals are ready to serve you at a moment’s notice when you need it. Not only do we serve our customers with care and efficiency, but our services are priced affordably, and our service professionals represent respect and integrity in all that they do for our customers. At St. Louis Towing Services, we provide solutions for a variety of needs for personal and commercial services. For our towing and recovery sector, we provide ongoing and unlimited towing services St Louis residents trust, in addition to one-time service needs that can be on a daily, weekly or monthly basis. We also provide parking lot monitoring so that you can focus on the aspects of your job that are most important while leaving these important details to us. We present this value so that your community can be well taken care of and maintained by a licensed, bonded and insured company. We provide parking lot monitoring and zoning regulations for commercial buildings, apartment communities, townhouse associations and condominium properties, as well as enforce private property rights for individuals. In addition, we can also purchase St Louis junk cars and pick them up. For our roadside services, we guarantee efficiency, safety and security for you in your time of need. Common issues that require our assistance include vehicle lockout issues, flat tire, battery jumpstart, and fuel delivery services. Whether you are in town or out of town, we are happy to serve you and accommodate any emergency or unexpected situations within our range of services. Our standard of professionalism is excellent customer service and outstanding communication. Upon contacting us, we will listen to your needs and come up with a solution to help you as quickly as possible. For ongoing needs, we understand the importance of businesses in their responsibility to be a well-respected community patron, which is why we value each business’ individual needs and policies. We will schedule a meeting with the community manager or appropriate decision maker to discuss your business policies and draft an enforcement plan that fits your needs. Many of our customers in St. Louis and the surrounding areas have differing ways that they would like parking and towing policies to be enforced, as well as how they would like to approach warnings and vehicle removal. It can be difficult to monitor the variety of scenarios that can come up, such as fire hydrant and community entrance blocking. For that reason we understand the need for excellent communication and patron sensitivity, and will always let our customers know when we act on or before acting on their behalf with any vehicle removal, warning or other enforcement. Our customers are so relieved when their towing services are taken care of! As part of our commitment to excellent customer service, we provide digital photos for removals, post towing signs, provide a report every time we give a ticket or perform a removal, and have 24/7 service availability. We also provide unlimited towing services if your needs are on an ongoing basis. We specialize in towing services, which include parking lot monitoring, as well as Roadside Service Assistance. A few of our services are outlined below, with more details outlined about each service on their respective pages. 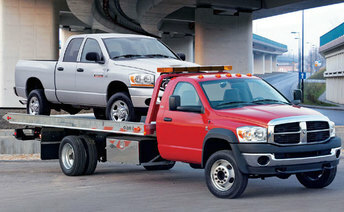 Do you require a tow truck St Louis MO locals have depended on for years? 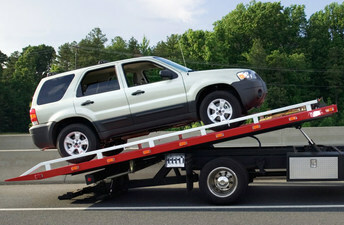 If you are in need of any general towing services, our professionals and our vehicles are licensed, bonded and insured. We are happy to assist you any time of day 365 days out of the year. If you have found yourself in an emergency situation where your vehicle or equipment is inoperable and in need of being physically relocated, we are here to help you. We can tow your vehicle, as well as assist you to a safe location. We are a tow company St Louis MO car owners can depend on! In the unfortunate event of an accident, our services are here to assist you in the removal or recovery of your vehicle or equipment. As soon as we are contacted, our professionals will be there on the scene expeditiously to assist you. 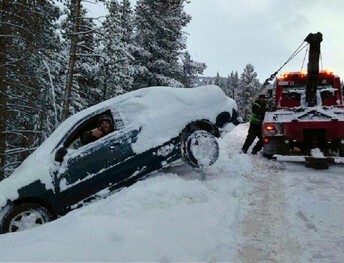 If your vehicle has become immovable or inoperable because of the snow elements and you need towing assistance, please call our professionals to come and assist you as soon as possible. We are also able to provide battery jumpstart or fuel and oil delivery services, if needed. At St. Louis Towing Services, we are able to monitor and enforce any policies surrounding unauthorized parking in your area. No matter what location you find yourself in at the time you need towing or roadside assistance St Louis visitors can trust. Our services are ready and available to you, and our professionals will be there quickly to assist you. If you need a vehicle or equipment towed to a long distance location in the event of a move or other occasion, we also have the resources to help you. Are you looking for a reputable service for towing in St Louis MO? We serve a variety of different types of vehicles, including semis, trailers, big rigs, boats, and large equipment like tractors, to name a few. If your parking lot is going through maintenance for re-striping or resurfacing, our service professionals are able to move vehicles or other equipment from the lot before maintenance starts, and can also move them back after the job is done. We assist commercial or residential lots in enforcing their parking regulations, especially in areas where public parking is heavily sought after. 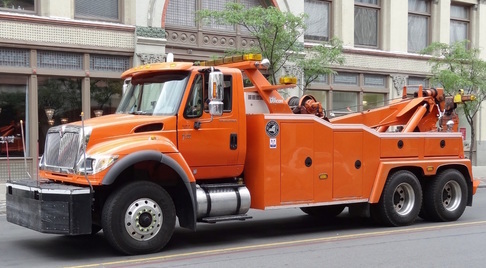 St. Louis Towing Services assists in paying cash for junk cars St Louis locals are looking to get rid of, removing junk vehicles or equipment, and will transport them to any desired location for you. We also perform parking lot monitoring services for your commercial or residential lot. Our professionals will enforce your parking policies, and will provide a variety of service benefits that will help you focus on other important business needs. In any event of roadside assistance, our towing professionals will be there to assist you as quickly as possible. We provide the best roadside assistance and towing St Louis MO has to offer. They will arrive with the resources and expertise to get you back on the road as quickly as possible. If you have a flat tire, our service professionals will assist you in changing your spare tire or if needed, will tow your vehicle to a desired location for you. If you are locked out of your vehicle, our service professionals will come quickly to your aid to help you gain entry into your vehicle, can provide locksmith services, valet services for you to retrieve your keys, or tow your vehicle to a desired location for you. 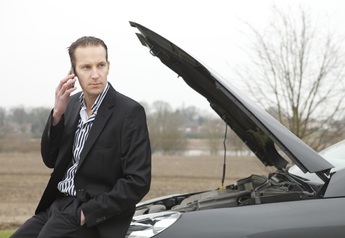 No matter where you are, our professionals can come to your aid quickly to help start your car. 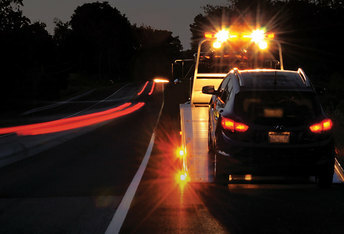 We can also provide towing assistance to a desired location for you. If you are in need of fuel and oil delivery, we will come quickly to deliver your fuel so that you can get to the nearest desired location to access more that will get you on the road again. These are just a few of our towing and roadside assistance services. If you are in need of any other services and are unsure if we can provide them, please give us a call so that we can do our very best to serve you. If you would like your towing, parking lot monitoring, or roadside assistance needs taken care of today, please call us at 314-888-5348 or fill out the form at the right-hand top of the screen. We are located in St. Louis, MO and are here to serve you now!